By A Champion 2YO, a Champion 3YO Miler and a four-time Group 1-winning sprinter-miler – this is Olympic Glory who joined the Arrowfield roster in 2015 after a superlative £1.4 million European career. Price includes - purchase price, vetting, transport, breaking in, training & spelling fees until the end of April. Three years later has opened his sales account in Australia with excellent results at the 2018 Magic Millions Gold Coast Yearling Sale. Olympic Glory more than held his own in a strong field of first season sires, with 12 Book 1 lots sold for an average price of $181,667 - around 10 times his service fee. 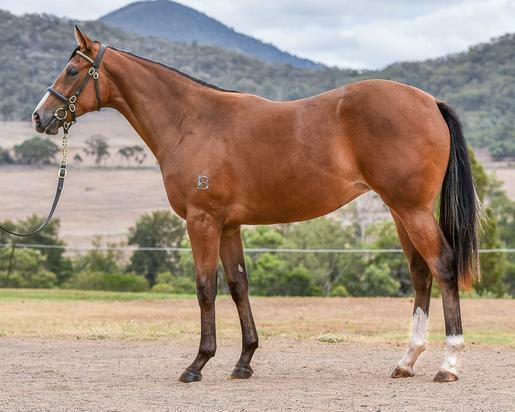 His top price of $600,000 was paid by the great Japanese owner & breeder Katsumi Yoshida for Arrowfield's super-athletic colt out of Downtown Manhattan. Four other colts achieved prices from $180,000 to $260,000, and his top-priced out of Lanai was knocked down for $160,000. Olympic Glory's career opened with four wins from five 2YO starts, beginning in June 2012 with his debut success at Goodwood. Eleven days later, his class outweighed his inexperience when he chased home Dawn Approach in the Group 2 Coventry Stakes, the most prestigious juvenile contest at Royal Ascot. Olympic Glory continued to progress and the following two months brought Group 2 success over 1400 metres in the Superlative Stakes, and at Goodwood in the Vintage Stakes. Sent to France in October, he completed his juvenile season with a gold medal performance at Longchamp in the Prix Jean-Luc Lagardere G1, also over 1400 metres. Olympic Glory stayed within striking distance of the leaders during the first half of the race, then struck hard in the final 400 metres to take the lead and win by 11/4 lengths with plenty in hand. These performances earned him the titles of Co-Champion British Two Year Old and Champion Two Year Old in France. Olympic Glory opened his 3YO season on a winning note in the Group 3 Newbury Greenham S. followed by a second in the Group 1 Prix Jacques Le Marois to Moonlight Cloud then a second to Maxios in the Group 1 Prix du Moulin de Longchamp. He peaked with an emphatic 3.25- length victory in the Group 1 Ascot Queen Elizabeth II S. His international rating of 125 earned him a ranking as the World’s Co-Champion 3YO Turf Miler. Olympic Glory began and ended his 4YO campaign in the same fashion, winning the 1600m Newbury Lockinge S. G1 by more than two lengths, and bowing out in October 2014 with his fourth Group 1 victory in the 1400-metre Prix de la Foret G1 at Longchamp. That final performance was notable for Olympic Glory’s spectacular run through the field to slam his rivals by two lengths in a course record time of 1.17.73. In doing so, he defeated Gordon Lord Byron, winner at his next start of the British Sprint Championship G1 and Karakontie, next-start winner of the Breeders’ Cup Mile G1. Timeform awarded Olympic Glory a final rating of 130, ranking him among the world's top dozen performers in 2014, alongside Hong Kong stars Able Friend & Designs on Rome, and a pound above Cirrus des Aigles, his stablemate Treve & Arrowfield's own superstar Dundeel. THE DAM 1st dam FRENCH POPPY, by Rock of Gibraltar. Winner at 1150m in Aust. Sister to Run Roxy Run. This is her second foal. Her first foal is a 2YO. Rainbow Fish. 5 wins at 1200m, 1400m to 2018 in Malaysia. Obesure. 3 wins to 1500m, QTC Camahuge H., Qtc.org H.
French Voyager. Winner at 1600m in Aust. Ilikeadacolour. Winner at 1400m in Aust. Producer. For more information on this athletic addition to the Lane yard.